THE FAMILY of Andy Allen, shot dead in Buncrana two weeks ago, have hit back at claims from the dissident terror group who killed him. 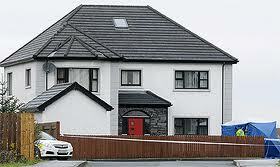 Earlier Republican Action Against Drugs said its “Donegal Unit” had “executed” Mr Allen for drug dealing. However the dead man’s uncle hit back at those claims tonight. William Allen said: “This tissue of lies is beneath contempt. I do not intend to give this gang any undeserved credibility by engaging them in public debate other than to say the propaganda peddled by these dealers in death could not have been repeated by the media had Andy not been murdered.